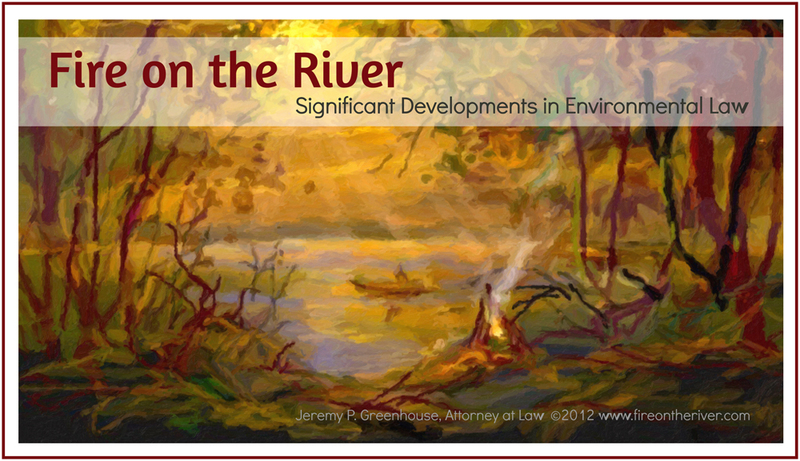 Minnesota Federal District Court Addresses NEPA Issue of First Impression in Eight Circuit | Fire on the River! The United States District Court for the District of Minnesota addressed an issue of first impression in the Eighth Circuit, recognizing, in a March 6, 2015 opinion, a cause of action for injunctive relief under the National Environmental Policy Act of 1969 (NEPA) against a non-federal governmental body—notwithstanding the fact that the NEPA environmental review process for the project at issue was not yet final—where the governmental body’s actions were effectively limiting the options that would be considered during the environmental review process and therefore affecting the citizen group plaintiff’s NEPA rights. Lakes and Parks Alliance of Minneapolis v. Federal Transit, — F.Supp.3d —- (D. Minn. 2015). The underlying dispute involved alleged flaws in the environmental review under NEPA and the Minnesota Environmental Policy Act (MEPA) for a proposed a future light rail transit route—the Southwest Light Rail Transit project (SWLRT)—that would connect downtown Minneapolis to the southwestern Twin Cities. In particular, the plaintiff citizen group criticized the environmental review process conducted by the lead state and federal agencies involved, the Federal Transit Authority (FTA) and the Met Council, regarding the design of the SWLRT for the Kenilworth Corridor. 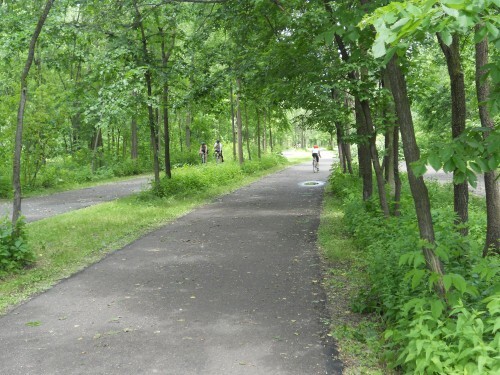 The corridor is an area approximately one and one-half miles in length between Cedar Lake and Lake of the Isles in Minneapolis. The current plan for the SWLRT design in the Corridor includes an underground tunnel for the southwest half of the corridor and then an above-ground route for the northeast half. However, the lead agencies did not evaluate a tunnel as an alternative for the Corridor in any of the environmental review documents produced between 2009 and 2013, which included a 2012 draft environmental impact statement (DEIS). Nonetheless, in April 2014, the Met Council approved a “Locally Preferred Alternative” (LPA) for the SWLRT design in the Corridor that consisted of two long shallow tunnels that would traverse almost the entire Corridor. Of particular concern to the plaintiffs, the Met Council, following its selection of the LPA, commenced the “Municipal Consent Process” under Minn. Stat. § 473.3994. The Met Council is required to consult with all municipalities affected by the SWLRT and obtain their prior consent to the proposed project design, following a public hearing. Relevant to this case, the statute requires that an analysis of the proposed project design, including a DEIS, must be available before, at and after each municipality’s public hearing. However, no such DEIS was available at the hearings, in part because none existed; the 2012 DEIS did not evaluate tunnels as part of the solution for the Corridor. After negotiations with the city of Minneapolis, the Met Council revised the proposed design for the corridor to the current version—shallow tunnel for the southwest half of the corridor, aboveground route for the northeast half. All six affected municipalities consented to the revised design. The citizen group filed a summary judgment motion in September 2014, claiming that the defendants violated NEPA and MEPA by moving forward with the municipal consent process on the SWLRT before the completion of a full environmental review. In addition, the group claimed the Met Council violated the municipal consent statutes by failing to have a DEIS at the public hearing that evaluated the current proposed project design. The court ruled on the defendants’ motions to dismiss. The court first dismissed the citizen group’s NEPA claims against the FTA on the basis of sovereign immunity. NEPA itself provides no private right of action, the court held; plaintiffs must instead bring NEPA claims under the Administrative Procedure Act (APA), which is the only waiver of sovereign immunity for NEPA claims. The citizen group acknowledged that a NEPA claim under the APA was untenable since the FTA had not taken any final agency action (e.g., issuing a record of decision). However, the group argued that a NEPA regulation, 40 C .F.R. § 1500.3, provided an independent waiver of sovereign immunity and a cause of action to enforce the alleged procedural violations. The court disagreed—section 1500.3 does not contain the required express language waiving immunity and, in any event, immunity can only be waived by an act of Congress, not an administrative regulation. Despite the lack of final agency action and the court’s dismissal of the NEPA claim against the FTA, the court nonetheless concluded that the citizen group could proceed with their NEPA claim against the Met Council. The court held—as a matter of first impression in the Eighth Circuit—that a limited cause of action exists under NEPA itself (not the APA) against a state actor where a party seeks to preserve federal rights under NEPA pending the outcome of federal procedural review. In this case, the citizen group alleged the Met Council’s actions vis-à-vis the SWLRT were effectively limiting the options that would be considered during the FTA’s ongoing environmental review process and therefore affecting the group’s NEPA rights. This was sufficient, the court held, to state a claim for injunctive relief under NEPA. As to the citizen group’s state law claims, the court dismissed the MEPA claim against the Met Council for lack of final agency action as required for judicial review under Minn. Stat. § 116D.04, subd. 10. However, the court allowed the group’s municipal consent claim to proceed; it concluded that an implied cause of action exists under Minnesota’s municipal consent statutes and that the group’s allegations regarding the Met Council’s failure to have an accurate DEIS available at the municipal public hearings adequately stated a claim.